A bridge consists of a crown on a tooth with a false tooth attached to it. 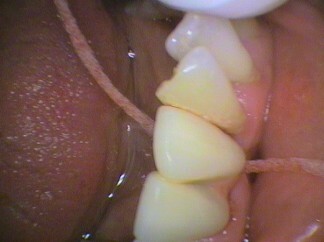 Usually this in turn is attached to another crown on another tooth. The false tooth (also known as a pontic) needs to cleaned underneath to prevent plaque building up and causing decay on the adjacent crowns or irritating the gum underneath, leading to bleeding and even loss of bone around the crowns. The caredent interdental brush, which has a rubber like consistency, can be useful if there is room to fit this cleaning aid under the pontic. This is shown in the picture 1. Place the caredent brush on the surface of the pontic and slide it down the false tooth surface towards the gum. Then let it slide to underneath the pontic and slide along the underneath surface from one crown to the other. Then do it on the other side of the pontic. Try and do this daily. REMEMBER GERMS DO NOT SLEEP. Don’t let them ruin an expensive piece of “hardware”! If there is not enough room to fiT the caredent interdental brush, then superfloss could be used. Superfloss is floss with a sponge like coating on it. To make it easier to thread the floss through, a plastic stiff bridge threader can be used. It has a large eye for the super floss to be put through (Picture 2). 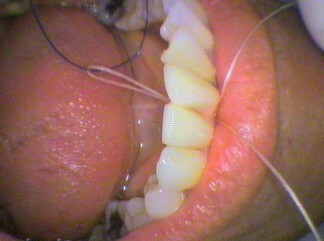 Then use the bridge threader to carry the superfloss in the space between the pontic and the crown (Picture 3). 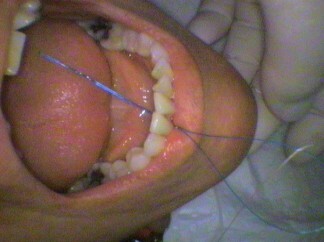 Picture 4 shows the bridge threader pulling the super floss through. 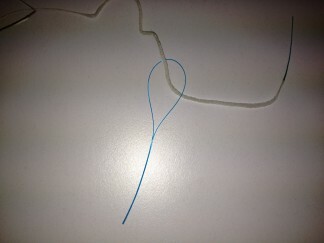 Once through hold one strand of the floss and pull the other end (Picture 5). The bridge threader is removed (and can be used several times after cleaning). 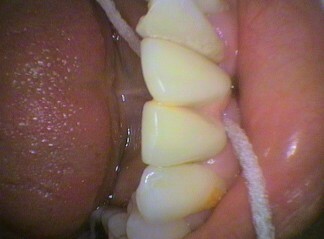 Picture 6 shows the superfloss under the pontic WIPING the plaque off. Again clean the pontic daily BEFORE cleaning the other teeth in the mouth. Otherwise the toothpaste will make it difficult for the superfloss/bridge threader to fit under the pontic. YES IT’S DIFFICULT.